Happy new year and welcome back! I hope you had a wonderful holiday break. The District Office staff has been busy over Winter Break moving into new offices in the Ridgefield Administrative and Civic Center (RACC). We are excited and grateful for the new office spaces which we will share with City of Ridgefield staff and our many community partners when they join us later in January. Our first school board meeting in the new space will be on Tuesday, January 22nd. We invite you to stop in and check out the new facility. On Wednesday, January 16th, the RHS English department hosts the school-wide Poetry Out Loud competition at the Old Liberty Theater. This is a terrific contest where our kids recite works of poetry. In addition to accuracy, students are evaluated on their voice and articulation, dramatic appropriateness, and evidence of understanding. The performances are very impressive, and I encourage you to attend this unique event. Later this month, all schools will be hosting Taking Your Parent to School Days. Parents will have the opportunity to experience a portion of their child’s school day, visit our campuses, learn more about the bond project, and see all the amazing work our staff takes on daily to deliver world-class educational experiences to our students. In addition, our second Patron Tour is set for Tuesday morning, January 15th, and community members will also have an opportunity to visit the exceptional work in our schools as well. Finally, if you are an RHS graduate, please be sure to join us on Friday, January 25th in the RHS Commons for our third annual Superintendent’s Spudder Alumni Brunch. I’m looking forward to connecting with many Spudder grads of all ages. At the meeting, the school board will also recognize the winner and runners-up for our annual Superintendent’s Holiday Greeting Card Contest. Anna Chapin (South Ridge, 2nd grade), Estelle Blystone (RHS, 11th grade), and Liam McAllister (RHS, 12th grade) created beautiful artwork that earned runner-up status. This year’s official greeting card was crafted by Lily Cox (View Ridge, 7th grade). A copy of Lily’s artwork is attached. For the fifth consecutive year, this program is sponsored by the Ridgefield Art Association (RAA). Joining the RAA this year in sponsoring the program is The Modern Orthodontist. Thank you to both of these important partners. The team of students in my Superintendent’s Student Advisory Council (SSAC) have been hard at work conceptualizing how best to commemorate and beautify the historic steps fronting the main entrance to the former View Ridge Middle School, which was the site of the old Ridgefield High School. With assistance from community partners in landscape design and construction, the students have come up with a plan. Personalized pavers will be made available for purchase. These will pave the space at the top of the steps. Seating will be placed nearby along with Coral Bark Japanese Maple trees planted to beautify the area. A rendering of the design is attached. For information on purchasing a personalized paver for this new project, watch for an announcement in January. A big Thank You to all the SSAC student representatives for their hard work in this ongoing community landscaping project: Emma Waddle, Ben Neil, Brandon O’Dell-Nguyen, Samantha Class, Jacob Bell, Payton Grimm, Damion Jiles, Jr., Emmanuel Andrade, Tanner Roberts, Jacob Thompson, Madison Syring, and Jolie Gullickson. I have attached a photo of the team on a recent visit to the site. Over the Winter Break, the District Office will be moving to new offices in the re-purposed View Ridge Middle School, now known as the Ridgefield Administrative & Civic Center (RACC). We are planning for a seamless transition and hope to be fully operational in the new location during the first week in January. In the coming weeks, employees from the City of Ridgefield and community partners will join us as they transition into the building as well. Our school board meeting on Tuesday, January 22nd will be the first of many to be held in the new RACC Boardroom. There are only a few more school days remaining before Winter Break. I hope you all get an opportunity to rest and enjoy time with family and friends. Thank you very much for your continued commitment to every student in the Ridgefield School District. Have a safe and happy holiday season. Welcome back! I hope you all had an enjoyable Thanksgiving with friends and family. Another successful Turkey Trot was held on Thanksgiving morning with approximately 400 runners participating. The family-friendly event gets better each year and is fast becoming an annual Ridgefield tradition. As you may already be aware, the school board will decide on a resolution at Tuesday’s board meeting to place a bond on the February 2019 ballot. The total amount being requested from district property owners is $77 million. The money, along with approximately $15 million of state assistance money, will enable the district to construct a new K-4 elementary school; expand RHS and renovate the vocational education building; construct covered play areas and upgrade HVAC systems at South Ridge and Union Ridge elementary schools; and make safety and security upgrades district-wide. You will notice the bond does not include the purchase of land. The property that will be the future home of our new K-4 is being paid for by developers through the district’s collections of school impact fees. A big thank you goes to all the members of our Capital Facilities Advisory Committee who spent last winter and spring working to prepare a bond package. The bond program they crafted addresses many of our needs and is fiscally responsible thanks to the hard work and dedication of many people. The district held its first Patron Tour on November 15th. Participants were provided with a guided tour of Union Ridge Elementary, Sunset Ridge/View Ridge and Ridgefield High School and got an inside look into the innovative programs we provide our students. In addition, they toured the construction site of the former View Ridge Middle School to view the progress of renovations taking place to convert it into an administrative and civic complex for use by the district staff, the city of Ridgefield, community partners, and civic groups. Based on the positive feedback we received from the participants requesting future tours, the district has set the next Patron Tour for January 15. Congratulations to RHS senior, Ian Abrams, semi-finalist for the 2019 National Merit Scholarship. It has been sixteen years since a Ridgefield student has received this honor. Kudos also to the students in Stephanie Brown’s RISE class at Union Ridge, who had a hugely successful Socktober Drive, collecting over 2,000 pairs of socks for the homeless. Representatives from the Council for the Homeless honored Stephanie and each of her students on Tuesday with certificates of recognition for a job well done. Way to go! The Ridgefield Raptors needs help in naming their mascot and designing its costume, so a contest is now underway inviting all Ridgefield students to submit ideas. Community Education will hold three free workshops this week to help interested students get started with the artwork and to explain the contest rules. Pre-registration is required. Each contest entry will receive a ticket to attend Ridgefield School District Night, during which the winner and runners up will be announced. I have attached a flyer with more details regarding the workshop schedule and the contest. As part of Ridgefield’s Hometown Celebration, I hope you will be able to check out the hand-crafted items created by our students available for sale at the Ridgefield Childrens’ Holiday Bazaar on Saturday, December 1, from 11:00am -2:00pm at the Union Ridge gym. The event, organized by the parent organizations at Union Ridge, South Ridge and Sunset Ridge, help support numerous programs for our students. Lastly, the Walk & Knock Food Drive is set for Saturday, December 1. The Ridgefield Lions Club is organizing the drive in our community. I hope you will be able to volunteer your time as a driver or walker or fill a bag with non-perishable food items for pickup. Volunteer drivers and walkers meet at Sunset Ridge/View Ridge at 8:30 am. To sign up online as a volunteer, click here. Thank you all for your continued commitment to every student in the Ridgefield School District. Have a great week. I hope you had a very enjoyable Veterans Day holiday weekend and the opportunity to take part in a Veterans Day commemoration and thank a veteran for his/her service. I’m very proud of my dad, who served for 20 years in the US Navy. On Saturday evening Spudder Volleyball defeated Lynden to win the 2018 2A State Championship. Congratulations to Coach Dobbs and the team. Go Spuds! Congratulations also go out to senior Kyle Radosevich, Cross-Country District Champion and 2nd place finisher at State. Kudos to golf coach Bob Ball, named 2A GSHL Coach of the Year, and sophomore Cade Bringhurst, selected as Player of the Year. You may have heard news of the district’s recent $2.2 million planned purchase of 27 acres of property located south of Northeast 279th Street and east of North 65th Avenue. The district will build a K-4 school on the site to keep pace with our rapid growth in student enrollment. The school board is expected to hold a vote at their November 27th board meeting to put a bond issue on the February 2019 ballot to fund this next phase of expansion. November 14th is Educator Support Professionals Day. All of our paraeducators, secretaries and assistant secretaries will receive a gift from the district. Please thank our amazing paras and secretaries for making a difference for students through the work they all do. We appreciate our classified support staff! Our Patron Tour is scheduled for Thursday, November 15. Starting at 8:30 am, community members will be provided with an insider’s look into our schools. Stops include Union Ridge, Sunset Ridge, Ridgefield High School and the site of the former View Ridge Middle School where renovations are under way to convert the school into administrative office and civic spaces for our District Office, the City of Ridgefield, and community partners. This Thanksgiving, the Foundation is sponsoring their second annual Turkey Trot. I have attached a handout that provides event and registration information. Proceeds support both the Foundation and the Ridgefield Family Resource Center. I hope you all get an opportunity to rest and enjoy time with family and friends over the Thanksgiving break. Thank you very much for your continued commitment to every student in the Ridgefield School District. I hope you all had a restful and enjoyable weekend and managed to stay dry. The annual Superintendent’s Holiday Greeting Card Contest is now under way. The theme of this year’s greeting card is “Holiday Magic”. I encourage all students to participate in creating original artwork for the district’s 2018 holiday greeting card. The winner and three semi-finalists will win cash prizes. A big thank you to Ridgefield Art Association, our partner in this endeavor. Attached is the form containing Contest Rules, Parental Permission Form and Holiday Greeting Card Art Label. In conjunction with the contest, Community Education will be offering free Holiday Card Workshops, open to all students on October 29 at Union Ridge, October 30 at South Ridge and November 1 at Sunset Ridge/View Ridge. Workshop and registration information is attached. I look forward to seeing the original holiday artwork that will be submitted by our talented student artists. On Thanksgiving morning, the Ridgefield Public Schools Foundation will be hosting their second annual Turkey Trot races (5k and 10k runs). Races begin and end at Union Ridge and all proceeds will support the Foundation and Ridgefield Family Resource Center. This is a great way to help out our neighbors, while burning some calories in preparation for Thanksgiving dinner later that day. An information flyer is attached and you can go to www.ridgefieldpsf.org/turkey-trot/ for more information and to register online. Our Patron Tour is scheduled for November 15th. Please stay tuned for more information as the event approaches. Construction is steadily progressing at both the RHS Expansion and the old View Ridge MS Repurposing projects. At the RHS site, construction has gone vertical as walls are being set in place. At the View Ridge site, offices and work spaces are rapidly taking shape, and the expanded parking lot and exterior site work continues. Weekly construction updates for both projects are available on the district’s website by visiting the 2017 Bond Program page at http://www.ridgefieldsd.org/bond--2 and clicking on the Construction Updates button. Thank you for all your hard work. Have a terrific week and a safe and happy Halloween. I hope you enjoyed a restful and productive weekend. Jamison celebrated his 11th birthday this weekend and Declan turned four on Saturday. The boys had a great time with a giant sleepover on Saturday night. A big thank you to all the staff, student counselors, and volunteers who made the 49th annual trip to Cispus another total success. Our sustained commitment to outdoor school is one of the unique features that sets Ridgefield apart from other districts around the state. It is a signature event in our strategy to support and grow flexible learning environments that help every student achieve high outcomes. I continue to be amazed by the great work accomplished by students and staff at this event. Next year will be Cispus Outdoor School’s 50th year serving our students. A truly remarkable achievement! October 1-31 National Bullying Prevention Month - Write your name on an orange ribbon and tie it to the fence designated at your school to show your support for the prevention of bullying. Unity Day is Wednesday October 24. Wear orange to show your support. October 1-31 National Principals Month - Let’s thank our principals this month to show how much we appreciate all that they do for our schools. October 15-19 National School Lunch Week - Please show your appreciation to our food service staff in the coming week. October 22-26 National School Bus Safety Week - This year’s theme is “My Driver—My Safety Hero”. Please thank the bus drivers for the important work that they do to get students to and from school safely each school day. RHS Leadership students will be presenting their first annual Walk-A-Thon to benefit the American Cancer Society on Saturday, October 20th from 9am – 5pm at the RHS Stadium. Register online at ridge.revtrak.net. Next month, watch for details on our upcoming patron tour scheduled for November 15th. Construction continues on schedule at both the RHS Expansion site and View Ridge MS repurposing site. View weekly construction updates for both projects on the district’s website by visiting the 2017 Bond Program page at http://www.ridgefieldsd.org/bond--2 and clicking on the Construction Updates button. Follow us on Facebook (RidgefieldSchools), Twitter (RidgefieldSD) and now on our newly-launched Instagram account (@ridgefieldsd). Thank you for all your hard work. Enjoy your week. Make it a great one. Fall has arrived and the school year is off and running! It’s great to see students back in class and ready to learn. The District is capturing the 2018-2019 school year through a video series titled, “Growing Together.” You may have seen the video team filming in your school or classroom. We share the videos with our community through Facebook. I thought you might enjoy our most recent video, which captures what our students want to do when they grow up. Thanks for inspiring every child. Together, we are ensuring unlimited possibilities for our kids. RHS Leadership students will be presenting their first annual Walk-A-Thon to benefit the American Cancer Society on Friday, October 20th from 9:00 am – 7:00 pm at the RHS Stadium. Watch for registration and more information on the event in the coming days. Construction continues in the district. At RHS, concrete slab pours on the foundation pad are now under way along with plumbing, electrical and mechanical installations. Check out the artwork that RHS art students are creating on the fencing surrounding the construction site. The View Ridge Middle School repurposing project is making progress as well, as on-going renovations shape new office spaces and construction of the expanded parking lot continues moving forward. Construction updates on both projects are available weekly on the district’s website by going to the 2017 Bond Program page at http://www.ridgefieldsd.org/bond--2 and clicking on the Construction Updates button. Thank you for all your hard work. Enjoy your week. An increasing number of students, parents, community patrons, and staff members are asking really good questions about school safety in the wake of the tragedy in Parkland, FL. Unfortunately, there are no easy answers to many of these questions. Maintaining open and accessible schools that are also appropriately fortified to keep intruders, weapons, and violence out is a delicate balance to achieve. And frankly, schools cannot do it alone. Keeping our kids safe is a partnership between families, the community, and the school district. Fortunately, for all of us, I know of no community that is more engaged and willing to help than Ridgefield. With that in mind, I’m excited to announce that on Wednesday, March 14th we will be hosting Safety Night from 5:00 – 7:00pm in the RHS Commons. A planning committee of 14 members (including, staff, parents, and the Ridgefield Police Department) are working hard to host an informative and empowering event. I’m proud of the many efforts hard-working colleagues throughout the district have taken to implement programs, deploy resources, and reach out to all children in order to improve student safety and wellness. It is our sincere hope that Safety Night provides an opportunity to build parent and public awareness of the resources available to students as well as hear valuable feedback and ideas that can enhance and expand programming. Safety Night is the kick-off for a series of regularly-scheduled events that will highlight individual programs and resources in greater depth. I encourage each of you to attend Safety Night and bring your friends and family. I look forward to seeing you there. As always, thank you for your hard work and dedication. February is Black History Month! It is great to see all the bulletin boards and engaging lessons as I walk through our schools. It is almost March, which means Ridgefield Youth Arts Month (RYAM) is just around the corner. This is our fourth annual RYAM and it continues to get bigger and better. There are arts events every day of the month Mondays – Saturdays. A couple of highlights include the March First Saturday (March 3rd) in downtown Ridgefield. Art Alive, our kick-off event, will be held at Sportsman’s from 11:00am – 3:00pm. On Sunday, March 18th we are sponsoring a concert featuring the music of 3 Grands. I’m attaching a flyer with more information. Proceeds from this event will support RHS performing arts programming and scholarships for graduating seniors. We have long known about math-phobia…how about this new research from Stanford on positive attitude as a predictor of math success. I shared this release with the administrators last week and thought you might find it interesting as well. We continue to make preparations for the opening of Sunset Ridge Intermediate School. Tomorrow, new job openings for Head Secretary and Receptionist (shared with VRMS) will be posted. At the same time we will be releasing four part-time paraprofessional positions for lunch and recess supervision. These will be internal only postings, available for staff that may wish to work at Sunset Ridge. Additionally, we will be posting internal-only certificated openings at Sunset Ridge for Physical Education, Art, and School Counselor. Please know, this is not the end of posting positions for the new school, rather the beginning. As decisions are confirmed we will continue to open more positions. The Capital Facilities Advisory Committee had their second meeting last night. The CFAC will continue their work, focused on a new K-4 elementary school and expansion that will serve the 9-12 population, throughout much of the spring. The Boundary and Start Time Committee, hard at work since this fall, will be hosting a community forum next Monday, January 22nd at 6:00pm in Room 311 at RHS. This is a terrific opportunity to learn more about the committee’s work and proposed plans impacting school start times and elementary attendance boundaries. For more information, please visit http://www.ridgefieldsd.org/article/33900?org=. The Superintendent’s Student Advisory Council is getting some real-world experience. This year’s group has been tasked with leading a large-scale volunteer project to redesign and landscape the varsity baseball field, the front lawn at VRMS, and the 5th Street hill leading to Union Ridge. This project will coincide with the repurposing of VRMS that will begin in early summer. The students met for a green-light planning session on Tuesday, assisted by professional architects and landscape designers. This is an exciting project that will have a lasting impact on downtown Ridgefield. One of my favorite events each year is Poetry Out Loud and it just keeps getting better. Congratulations to all the contestants that competed in the RHS finals yesterday at the Old Liberty Theater. And a big thank you to Jaymie Adams and the entire English department for putting on such a wonderful event. As many of you know, VRMS transitioned to a standards-based grading system this year. Periodically, I hear from parents concerned that this change will make it difficult for their child to transition to a traditional grading system as they advance to high school and beyond. Tony Smith, the VRMS principal, recently shared this article that highlights a movement nationally to go beyond the A-F system to a more comprehensive grading system. I have attached the article for your convenience. Finally, if you are an RHS graduate please be sure to join us next Friday, January 26th at 11:30am in the RHS Commons for our second annual Superintendent’s Spudder Alumni Luncheon. I’m looking forward to connecting with many Spudder grads of all ages. Happy holidays! It’s that time of year when the weekends are a blur of activity. I hope you had a chance to spend some time in Ridgefield on Saturday; there is nothing quite like Hometown Celebration to fill your cup with some holiday spirit. Downtown was packed with families enjoying the festivities and many shoppers took advantage of the great deals to be had at our South Ridge/Union Ridge Holiday Bazaar that took place in the VRMS gym. This is always one of my favorite student events of the year. A big thank you to everyone who supported our student entrepreneurs. The Capital Facilities Advisory Committee (CFAC) is starting back up as planning gets underway for a projected February 2019 bond election. If you are interested in serving on this important committee, please email me and join us on Wednesday, December 13th at 6pm in room 311 at RHS for our first meeting. You can learn more about the CFAC’s work at http://www.ridgefieldsd.org/article/32667?org=. Congratulations to RHS art teacher Tami Hoodenpyl and her team who hosted the Empty Bowl project at VRMS on Saturday. More than $1200 was raised to support our Ridgefield Family Resource Center. Sunday, we had the opportunity to cheer on Jamison and his soccer team as they played a state quarter-final game in the U11 division of the Washington Youth Soccer Recreational Cup. Our Tater Tots, down 1-0 at the half, came out determined in the second half and dominated the action on the way to a 2-1 victory. The boys head to Tukwila this weekend for the semi-finals and finals should they advance. Go Tots! Be sure to stop by View Ridge this afternoon for the final wrestling match in the existing gym. The Rebels host Castle Rock and Washougal beginning at 4pm. I hope everyone enjoyed the extra hour of sleep as we transitioned back to standard time. It was an interesting week in our home. Amanda’s sister is visiting. She loves spending time with her nephews but probably got more than she bargained for as Declan (our 3-year old) endured a really bad case of the croup. He had multiple fitful, sleepless nights and was extra cranky for good measure. But he is a resilient little guy and still found time to laugh. On Saturday morning, while watching Scooby-Doo (the live-action movie version) he told me he wished Hershell (our dog) could dress up in disguise and go on a plane with him (Scooby does this in the movie) and then he laughed, as if he was picturing how silly that would be. Simple pleasures from a 3-year old serve as a good reminder not to sweat the small stuff and make sure we slow down to enjoy time with our families and friends. Congratulations to the RHS volleyball team, the 2A District 4 champions. The team plays their first match at the state tournament in Lacey on Friday at 9:00am. Go Spuds! Also, congratulations to Kyle Radosevich, who took sixth in the 2A cross country state race, one week after a first place finish at the district championship. On Tuesday, November 14th, the school board will officially announce the new intermediate school’s name and mascot. Also, at the meeting, the board will honor the work of Paul Lewis. Paul served as the Ridgefield Public Schools Foundation’s first president and served from 2009 – 2017. The 5-8 schools complex remains on schedule. I’m attaching the latest update. Check out the latest update at http://tinyurl.com/y8wc7el9. Please remember; this Thanksgiving the Foundation is sponsoring their first Turkey Trot. I’m attaching a handout with more information along with a registration form. Proceeds support both the Foundation and the Ridgefield Family Resource Center. I hope you enjoyed a restful and productive weekend. While ours wasn’t particularly restful, it was definitely productive. On Thursday, Jamison and six of his friends had a sleep-over to celebrate his 10th birthday (the big 1-0 J) and then on Friday night we had family and friends over to celebrate Declan’s third birthday. On Sunday morning, Amanda completed the Girlfriends Run for the Cure half-marathon in Vancouver. A big thank you to all the staff, student counselors, and volunteers who made the 48th annual trip to Cispus another total success. Our sustained commitment to outdoor school is one of the unique features that differentiates Ridgefield from other districts around the state. In fact, it is a signature event in our strategy to support and grow flexible learning environments that help every student achieve high outcomes. I had the pleasure of visiting on Tuesday and, as usual, was blown away with the great work accomplished by students and staff. On Thanksgiving morning, the Ridgefield Public Schools Foundation will be hosting their first Turkey Trot races (5k and 10k runs). Races begin and end at VRMS and all proceeds will support the Foundation and Ridgefield Family Resource Center. This is a great way to help out our neighbors, while burning some calories in preparation for Thanksgiving dinner later that day. A “save the date” flyer is attached and more information will be coming soon. The District recently underwent a three year accountability audit (September 1, 2013 through August 31, 2016) by the State Auditor’s office. The audit is required by State law, and serves to evaluate the District’s compliance with applicable state laws and school district policies, as well as controls over the collection and use of public resources. Prior to the start of this audit, our team identified some concerns over controls relating to cash receipting at various locations across the district. We reported the concerns to the State Auditor’s office as required by state law. The report issued by the Auditor’s office makes reference to these concerns, as well as a few other areas where the District can make improvements. In response to our own internal review and the independent audit, the business services team has been and will continue to provide various trainings to staff. I want to extend my considerable appreciation to Paula McCoy and the entire business services team as well as each of our schools’ office staff and the athletic department for their commitment to improving our processes and procedures in order to more efficiently conduct business while ensuring that we are compliant with all state laws. A copy of the audit report can be found on the State Auditor’s Office website at http://portal.sao.wa.gov/ReportSearch/Home/ViewReportFile?arn=1019861&isFinding=false&sp=false. I have some very exciting news to share…South Ridge has been selected as a 2017-2018 National Title I, Part A Distinguished School. Just two schools are selected annually from Washington state for this national recognition. South Ridge was recognized for its “wide array of strengths, including team approaches to teaching and learning, focused professional development opportunities for staff, individualized and multi-tiered systems of approach for student success, and strong partnerships between the school, parents, and the community, and high student achievement.” According to OSPI’s Washington State Report Card, the percentage of third-grade students at South Ridge meeting standard in Smarter Balanced testing in English Language Arts exceeded the state average in 2014-15, 2015-16 and 2016-17 by 22 percentage points or more. Way to go Roadrunner staff and students! In August the school board approved the 2017-2018 updates to PursuingPremier, our district goals and planning blueprint. I’m attaching a copy of this year’s document for your convenience. Construction of the new 5-8 schools complex continues to move along. If you have driven by the site recently, you can see steel framing for the library and the roof trusses for the commons. Attached, please find the latest weekly update. Thanks to all who have participated in the high school expansion design sessions. Please note, the library/media center design meeting, which was scheduled for Tuesday, 9/19 has been moved to Wednesday, 9/20. Looking ahead, fine arts will meet on Thursday, 9/21 followed next week by general education on Tuesday, 9/6 and a second meeting with science on Thursday, 9/28. Finally, be sure to join us on Saturday, September 23rd for our second annual Experience Ridgefield. At noon today, OSPI released testing results related to the 2016-2017 Smarter Balanced assessments. Ridgefield had a testing invalidation issue involving fourth grade students at Union Ridge. On the English-Language Arts test, students were mistakenly allowed to use support materials that are prohibited. Please know UR staff and the district self-reported the violation to OSPI. The bottom line is all of those tests were invalidated for scoring, creating an misleading passage rate of 39% on the test for fourth graders district-wide. When examining the data more closely, 64% of fourth graders with valid tests passed the ELA assessment. For comparison purposes, the state average is 56%. The district released the attached press release earlier today. I ask that you please take a few moments to read the release to better address any questions you may get from parents or community members. As always, thank you for your efforts on behalf of all our students. Thank you a great start to the 2017-2018 school year. We are a growing district and that brings about many challenges. The hot weather and poor air quality bring additional unwelcome challenges. Please know, I’m very appreciative for all your efforts to ensure student health and safety. Construction of the new 5-8 schools complex continues on schedule. I had the opportunity to visit the site earlier today and it is a flurry of activity. Our general contractor (Emerick Construction) and their team of subcontractors are most definitely hard at work. The structural steel arrived on-site today and erection will begin on Thursday. Continue to follow the district’s Facebook page for periodic live look-ins and visit http://emerick.com/RSD_Intermediate_School.html# for all the latest information. Saturday, September 23 is our second annual Experience Ridgefield (please see attached). The carnival, which serves as a celebration of our community (our proud past, prosperous present, and promising future), was developed by students in my Superintendent's Student Advisory Council. It will take place from 3:00 – 7:30pm at RHS. More than 50 vendors are scheduled to participate! Just some of the highlights include a game truck, bounce houses, bubble soccer, karaoke, photo booth, and both a Mr. Potato Head contest and potato sack races. The evening culminates with a showing of The Goonies under the stars at 7:30pm. A big thank you to our presenting sponsor, Holbrook Concrete Construction, and our activity sponsors, ABM, Emerick Construction, LSW Architects, and IQ Credit Union. An equally big thanks goes to the members of our planning team, including Terri Cochran, Bonnie Harris, and Carolyn Enos. I look forward to seeing you all there. I hope all our moms had a terrific Mother's Day today. The boys and I celebrated Amanda's special day with friends over to the house for a big brunch, put on by the dads. This past Thursday the school board appointed Emily Enquist to fill the open seat on the board in district 1. Emily is a mother of students in the district and passionate about all things Ridgefield. You can learn more about Mrs. Enquist at http://www.ridgefieldsd.org/article/17583. Progress on the bond program continues. RHS team members had their first programming meeting for the expansion project, which is slated to get underway next summer and open in the fall of 2019. A big kudos to Bob Meek, Tami Hoodenpyl, and all the staff and students who put on Urinetown. The play was a big hit and incredibly funny. Be sure to join us on Tuesday, May 23rd from 5:30 - 7:15 p.m. at VRMS and Union Ridge for PE Showcase 2017. Hosted by our physical education department, there will be lots of fun fitness classes and activities. You can even test your fitness in the push-up challenge. Happy teacher appreciation week. I hope you had the opportunity to take advantage of the intermittent sunshine we enjoyed this weekend. The forecast for Wednesday looks incredible, which coincides with our community education department’s annual Poker Walk. Terri Cochran sent the attached flyer out on Friday, but in light of the very favorable current forecast, I thought it deserved another plug. Hope to see you downtown. Tomorrow is the groundbreaking ceremony for our 5-8 schools complex. I know most of you will be in the middle of your workday, but I’m including a copy of the event program for your review. Please check out our social media for pictures and information on the event. Six current 3rd graders (three each from UR and SR) will be the first to officially break ground. Congratulations to RHS staff and students for being named a 2017 Best High School. Out of more than 22,000 public schools nationwide, RHS placed in the top 6,000, earning a bronze medal. Way to go, Spuds! For more information on the rankings, you can visit www.usnews.com/highschools. Also, a big congratulation to the staff and students at South Ridge for earning another Overall Excellence award in the 2016 Washington Achievement Awards. Only three other schools in the ESD 112 region earned the prestigious Overall Excellence recognition. South Ridge was also recognized for High Progress and English Language Arts Growth. Super job, Roadrunners! Have a great week and, as always, thank you very much for all your efforts. I hope you all had a very enjoyable Easter weekend. I’m sure Saturday was a welcome relief as we were blessed with a full day of sunshine and warmer temperatures. It was great weather to kick-off Jamison’s spring soccer season and spend the day outside with the family enjoying the sunshine. We also managed to get some shopping completed, which turned out to be a good thing. Our youngest, Declan, is infatuated with sharks and has been for some time now. He has multiple stuffed animal sharks, likes watching documentaries about sharks, and knows how to search for them on YouTube as well. While we were shopping, he found a shark shirt and short combo that he could hardly wait to get home and change into (see attached pic). He was very proud of himself and showed all the neighborhood kids his new outfit last night while playing. Not everything is sharks though, we have new buildings to construct! Design and planning on the 5-8 schools complex continues to move along and I’m so grateful for the many staff members who are participating in the process. Very soon you will begin to see activity on the property. In fact, the groundbreaking ceremony will take place at 1:00pm on Monday, May 1st. I’m attaching a copy of the site plan that includes the 5-8 schools complex and the Ridgefield Outdoor Recreation Complex. With the 5-8 schools project moving along, we are nearly ready to begin the design and planning work for the new high school addition. This project will include space for fine arts, science, special education, additional classrooms, a library media-center, counseling and administration offices. Two initial planning meetings with administration and staff from RHS will officially get this project underway. Like the 5-8 project, many department specific stakeholder meetings will be held, enabling staff and school patrons the opportunity to shape the design. Have a great week and thank you for your continued hard work. Just a brief note, highlighting the next round of stakeholder group meetings for the 5-8 schools complex. As an FYI, staff members interested in participating in the planning and design process for the RHS expansion, please know that process will begin in late April/early May. All meeting will take place in room 301 at RHS with the exception of the athletics meeting which will be held in room 311. Youth Arts Month kicked off this week, including a bevy of activities associated with downtown’s First Saturday. We have many arts opportunities all month for interested students. Attached, please find the brochure. One of my favorites events of the month is the District Art Show, which will take place on Tuesday, March 28th at RHS. The school board, city council, and port commission will all attend this event as part of their annual joint meeting. I encourage you to do the same. Thanks for your continued hard work. Have a great week. Last night the Ridgefield community spoke loudly, as initial returns show the 2017 bond program passing with more than 68% voting YES. This support is the direct result of herculean efforts by an extraordinary group of volunteers and school personnel. They provided a tremendous amount of time and energy to develop and present the bond program to our fellow citizens. My sincere thanks to those of you who actively participated throughout the process. Your direct involvement shaped a coherent, fiscally-responsible plan that reflects our community values and needs. Your participation going forward will be critical to delivering the finest schools possible. Please know, this is also a testament to the great work done by each of you on a daily basis. At the core, any school bond or levy election is ultimately about the level of faith and trust the voters have in their school system. Ridgefield loves its schools, and you are the reason why! Thank you. I know many of you are closely watching this legislative session in anticipation of changes to school finance and funding. We may be on our way. Two very different pieces of legislation are making their way through the process and are scheduled to be up for public hearing in the House Appropriations Committee tomorrow (Monday, February 6). The bills are SSB 5607 and HB 1843. I am attaching both bills (they are long) if you want to read them. 5607 has already been adopted by the Senate and it is expected that 1843 will pass the House soon. I anticipate heavy compromise will need to occur before there is a piece of legislation that will be supported by enough members in both houses to pass. Congratulations to the RHS Advance Placement teachers and students. RHS earned a spot on the 7th Annual AP District Honor Roll. We are one of just five public schools in the entire state to earn the honor this year. For more on this fantastic accomplishment, please visit http://www.ridgefieldsd.org/article/12055. Congratulations also to our Math is Cool teams. Union Ridge had 17 students participating in the contest and took 1st place in their division. South Ridge had 22 students involved and earned 2nd place in their division (see a picture of the teams attached). Way to go, Tater Tots and Roadrunners! As always, thank you for all your hard work. Have a great week. Our Frequently Asked Questions document. I appreciate all the time, energy, and support you have provided over the past 18 months as we developed the bond package that will soon be presented to the voters. Please let me know if you have any questions. I know many of you are wondering about the impact our snow days will have on the school calendar going forward. Thanks to the quick, collaborative action of our REA and RCA leadership, principals, and Chris Griffith we have a plan that is being forwarded to the school board for approval on Tuesday evening. As you already know, the calendar calls for both Friday, February 17 and Friday, June 16 to turn into instructional days. Additionally, Monday June 19 will become an instructional half-day. The district will request four waiver days from OSPI. The implementation of the waiver will not impact pay. All certificated staff will receive their full contracted pay and all classified staff impacted by the four waiver days will have the opportunity to work those hours lost. Should we encounter weather that necessitates any additional late starts/school closures, we will begin by looking at extending the half-day an additional two hours on June 19and if necessary (a school closure day) transforming Friday, March 10 into an instructional day. A big thank you to everyone who worked quickly to get this plan crafted. Next Friday, we are hosting our first Superintendent’s Spudder Alumni Luncheon. This invite is being extended to all Ridgefield High Schools graduates as our way to say thanks and inform them on all the wonderful work happening throughout the district. Please help us spread the word to Spudder grads…and of course, if you are one we would love for you to join us. I hope you all have a great snow-free weekend! Happy new year and welcome back! I hope you had a wonderful holiday break. Ours was terrific. The boys had a great Christmas and we were able to enjoy lots of family time throughout the break. One of my brothers and Amanda’s sister were both able to visit us for part of break. Just a quick reminder that we have two more design planning meetings for those of you wishing to share your thoughts and perspectives on the general education classrooms for the new 5-8 schools complex. The first meeting is this Wednesday, January 4th, from 3:00 – 4:30pm in Room 301 at RHS. Next Wednesday (January 11th) we will host a second meeting from 4:00 – 5:00pm in Room 301 at RHS. I hope to see you there. January is always a fun month with two of my favorite school activities. On Wednesday, January 11th the RHS English department hosts the school-wide Poetry Out Loud competition in the Performing Arts Center. This is a terrific contest where our kids recite works of poetry. In addition to accuracy, students are evaluated on their voice and articulation, dramatic appropriateness, and evidence of understanding. The performances are very impressive and I encourage you to attend this unique event. On Thursday, January 12th VRMS will once again host their annual National History Day presentations. It is always fun to see the diversity of projects. This year’s theme is “Taking a Stand in History” and it should be equally enjoyable. Later this month VRMS and RHS will be hosting Taking Your Parent to School Days. Parents will have the opportunity to experience a portion of their child’s school day, visit our campuses, learn more about the bond project, and see all the amazing work our staff takes on daily to deliver world-class educational experiences for our students. A big thank you to Kirstin Kunihisa, who has led this effort as part of her administrative internship. Have a great first week back. Welcome back…if only for a few hours. I hope you found the roads in better condition today on your way in to work. Thank you all very much for your flexibility the past two weeks. I wish to extend my special appreciation to all our staff who live further south and east. I know this storm was worse in Vancouver and across the river and I thank you for the extra effort you made to get here today. As you can imagine, determining whether to run school leading up to and after inclement weather events is typically not easy. Shannon Barnett, our transportation director, and I spend considerable time assessing forecasts and driving roads throughout the district. Even then, the decision often is not clear-cut. Safety is our number one priority and we will always err on the side of caution…we need to be certain that our buses can transport students safely and that the conditions also allow us to all arrive to work safely. That is why the late start option this time of year can really prove to be very beneficial. It allows buses to roll after daylight and provides more time for us to monitor conditions and staff members to get to work. Thanks again. That same evening we recognized the winner and runners-up for our annual Superintendent’s Holiday Greeting Card Contest. Grace Arnold (VRMS - 7th grade), Madelyn Winter (Union Ridge - 6th grade), and Eireann Van Natta (VRMS - 8th grade) created beautiful works that earned runner-up status. This year’s official district greeting card was crafted by Catalina Hagen (South Ridge - 6th grade). For the third consecutive year, this program is sponsored by the Ridgefield Art Association. A copy of Catalina’s work is attached. We continue to make great progress on the 2017 bond program. Recently, both the Ridgefield City Council and the Port of Ridgefield Commissioners approved resolutions officially supporting the school bond. I am grateful for their support and I believe it speaks to the well-conceived and fiscally responsible package developed by the Capital Facilities Advisory Committee. Have a happy holiday season. Stay safe. Happy Holidays! It was great to see many of you enjoying Hometown Celebration yesterday. July 4th is a great celebration in Ridgefield, but Hometown is my favorite City of Ridgefield event of the year and it seems to get better every year. A highlight of the day is the Elementary Schools Holiday Bazaar at VRMS. This event, which unleashes the inner-entrepreneur in our elementary students, is a shopper's dream, with everything from delicious homemade treats, to jewelry, to light sabers all under one roof. The must-have gift for me was a little Spudder Christmas Tree ornament crafted by a South Ridge student (see pictures). My son Jamison partnered with his Union Ridge buddies (see picture) for an eclectic merchandise list that included Seahawk and Tater Tot coffee mugs, chocolate pretzels, and Oops I Farted, a silly product that was a big hit with the elementary crowd. A big thank you to all the students, parents, and staff who supported the bazaar. The next two weeks will be filled with holiday celebrations. Two events that I would like to highlight will take place at RHS. On Tuesday, December 13th the RHS Jazz Choir takes the stage at the Performing Arts Center, followed two days later on the 15th when the RHS band will fill the PAC with incredible music. Both performances begin at 7pm...we hope to see you there. This past Thursday evening, Mayor Onslow and the City Council unanimously passed a resolution stating their official support for the February 2017 bond. We are indebted to the Council for their continued support of our schools. Next Monday, December 12th, Clark College will unveil their master plan for the Boschma Farms campus. The event will be at the Ridgefield Community Center, beginning at 5:30pm and Clark College staff and their consultant team will be on hand to answer questions. Thanks for all your hard work...Have a great week! As you have likely know, last Tuesday the School Board unanimously passed a resolution placing the bond on the February 2017 ballot. I’m attaching a short PowerPoint presentation that details some of the finances relating to the bond. Please take a moment to review this information. The total amount being requested from the local voters is $77.965 million. This money will be leveraged with approximately $15.5 million in state assistance and more than $5 million in savings as a result of our partnership with the City of Ridgefield on the Ridgefield Outdoor Recreation Complex. That savings will captured through the fields, frontage improvements, and other related items that are necessary to serve the schools’ needs, but will be paid for by the City. Thanks to the hard work and dedication of many people, we have crafted a bond program that addresses many of our needs and is fiscally responsible. The estimated difference between the current bond tax rate and the 2018 bond tax rate is just $0.77 per $1000 of assessed valuation. For a homeowner of a $250,000 home that amounts to a difference of $16.04 per month. I’m also attaching an interesting opinion piece that ran in Friday’s Seattle Times. The article, authored by UW’s College of Education Dean, makes the economic case for an increased investment in teachers via high-quality professional development. I think you will find it interesting. Congratulations to all our fall Sports teams and coaches for a fun and highly successful season. Special congratulations to Silas Griffith, the 2A Boys’ Cross Country State Champion! Also, this just in…congratulations to three of Bob Meek’s (RHS) choir students who have distinguished themselves. Senior Julianne Hess was accepted into the All-Northwest Mixed Honor Choir and Max Kunetz (Jr.) and Bridget McCallie (Fr.) were accepted in the All-State Choir. Way to go! Happy Halloween! We took advantage of the perfect fall weather on Friday evening and enjoyed Halloween Hall at Abrams Park. The event was hosted by Ridgefield Art Association and it was another extraordinary community event, with just the right amount of scariness. A couple of pirates jumped out about half-way through the haunted house and they were scary enough to have one of our neighbor's kids grab my hand, but Declan (our 2-year old) is apparently still too young to be easily scared. He just stared the pirate down and then continued on his way through the hall, much to the pirate’s dismay J. It was a great weekend athletically for our Spudders. Congratulations to our boys’ and girls’ cross country teams for sweeping the district team titles on Saturday. Later that night, girls’ soccer shutout Aberdeen 9-0 in the first round of the district tournament. The Spuds will travel to Tumwater on Tuesday evening to take on the Thunderbirds at 7:00 pm. That same evening, we are hosting a parent night to provide an overview of our newly-revised school safety protocol for active threat situations. The 30 minute presentation will provide parents with information about the “Evade and Defend” protocol that teachers, staff, and secondary students recently were presented. The training begins at 7:00 pm in the gymnasium at RHS. I hope you had an enjoyable weekend. Jamison turned 9 on Saturday and our house was full of 3rd graders having a blast…nerf wars, video games, and general chaos. It reminded me once again of the great kids we have in Ridgefield. Speaking of great kids, we clearly need more space to house all the new students joining us. Last Tuesday, we hosted a community forum for our upcoming 2017 bond election. Our next community forum will be on Monday, October 17th from 5:30 – 7:00pm at the Ridgefield Community Center. I strongly encourage you to learn as much as you can about the bond program. I’ve attached the slide presentation from the October 4th forum for your review. I will also be visiting each of the campuses over the next few weeks to talk more about the bond program at site staff meetings. Progress on the planning and design for the 5th-8th grade schools complex continues and I again wish to thank all team members that are joining us for the stakeholder meetings. Should the bond pass, these two schools are slated to be constructed first. Please know, this bond package also includes a significant expansion at RHS (as well as safety and security upgrades at the elementary schools and a repurposing of View Ridge) and we are committed to an equally inclusive process for those projects as well. Our third annual holiday greeting card contest is going on now. Students in art classes around the district have or will be working on cards and we have two after school community education classes later this month for students who wish to participate. I’ve attached more information on the event. Our friends at Ridgefield Art Association sponsor this contest and also serve as the official judges. First, it was nice to see many of you at Experience Ridgefield this weekend. The weather was spectacular and the event succeeded in capturing the community connectedness that makes Ridgefield so unique. We are committed to making Experience Ridgefield an annual event. A richly deserved thank you to everyone that volunteered and worked Experience Ridgefield. I've attached a few pictures of staff members at the event for your enjoyment. Our first fall community forum for the 2017 bond will be held on Tuesday, October 4 in the RHS Commons from 5:30 - 7:00pm. I strongly encourage you to attend this event, learn more about the progress we are making, and share your feedback. If you cannot make the forum on October 4, please know we are planning for a second community forum on October 18 downtown. We have a busy and exciting week ahead of us. Earlier this month, Mayor Onslow issued a special proclamation, and our school board passed a resolution, recognizing Thursday, September 22nd as Legendary Teacher Day. As many of you know, this is a day where we encourage all Ridgefield residents to pause and reflect and honor the teacher(s) who made a lasting difference in their lives. Students at all schools will be doing the same. Follow our Facebook and Twitter feeds (#LegendaryTeacher) on Thursday, join in the fun and publically recognize that extraordinary teacher who changed your life. This Saturday (September 24th) is Experience Ridgefield, our community celebration event. The carnival, developed by students in my Superintendent's Student Advisory Council, will be held at the high school stadium from 3:00 - 8:00 pm. More than 40 vendors are scheduled to participate! Just some of the highlights include a game truck, bounce houses, sumo suits, sports skills stations, a Mr. Potato Head contest (with real potatoes), live music and dance, the movie Back to the Future under the stars, lots of food and more. In addition to the students, a big thank you goes to Debbie Bentler, Terri Cochran, Bonnie Harris, and Connie Vowels, all of whom have worked very hard to create a unique community spirit day. I hope to see you all there. Planning for the new 5-6 intermediate campus and the 7-8 middle school continues to progress nicely. We have two more stakeholder meetings this week (band/choir/theater arts on Wednesday and special education/technology on Friday). I am grateful for everyone who has participated in the design and planning stakeholder meetings so far. The feedback has been extremely valuable and will directly impact the quality of our new schools. On Tuesday, October 4th, we will host our first community forum on the new schools since the design process began. This forum will be held in the RHS Commons from 4:00 - 7:00 pm. I will have more information ahead of the event. Have a great week and thank you so much for all you do to support our students. Thank you for a great start to the school year and for all your patience as we welcome new students and open new classrooms. Ridgefield is a very desirable place to live and our school district is the #1 reason families are moving here. That fact speaks volumes about the exceptional educational-experience you provide daily. These smaller group meetings will be followed by a community forum on Tuesday, October 4 from 4 – 7pm in the RHS Commons. This will be the first of a series of community engagement events this fall as the planning and design process continues. Greetings from Legacy Salmon Creek Hospital! I had a little accident while out jogging with Declan this morning, tripped on a large rock and managed to break my right patella. The good news is that Declan (he's our almost two-year-old) was not hurt and my surgery went well. I'm resting comfortably, but tired and will keep this update short. Just a reminder that we will be holding our Image Inspiration meetings tomorrow afternoon for the new 5-6 intermediate and 7-8 middle school. Please consider attending one of these meetings. The first will be held in the Union Ridge library, beginning at 4:00pm, followed by an identical meeting in the View Ridge library at 5:00pm. This is a great opportunity to view a number of possible images, provide feedback, and assist with the design process. Compassion Ridgefield was held on Saturday at View Ridge and Union Ridge and the event was an overwhelming success. A huge thank you to all the volunteers who make this event magical each year and special thanks to members of our administrative team who volunteered time on Saturday to represent RSD and work the social services fair...thank you Chris Griffith, Tony VanderMaas, Todd Graves, Kelly Macdonald, and Tiffany Gould. Chris Poppert, our Family Resource Center Coordinator, hosted an open house to show off our new and improved location for the RFRC and the feedback was extremely positive. If you haven't yet had the chance, I encourage each of you to visit the resource center and see what a warm and welcoming environment Chris and her many volunteers have created. It is a truly special space. I'm attaching a flyer for Experience Ridgefield, our community carnival that will be held at RHS on Saturday, September 24th. There will be something for everyone...please share information about this event with our families at our back-to-school events. We are getting very close now…New teachers reported to work this morning and Nathan Lee and Elisa Smith have New Teacher Induction off to a strong start. You can see pictures from Induction on our Facebook and Twitter accounts throughout the week. Work on our 11 new modular buildings continues as I write this, and all buildings remain on schedule for final inspections, which are scheduled for August 24th. Additionally, we will be installing 7 new drinking fountains/bottle fill stations at VRMS and RHS as well as adding filtration systems to 11 sinks at those sites. All other fountains and faucets met the recommended EPA guidelines. I wish to extend my considerable gratitude to Neil Brinson, our Director of Facilities and Maintenance, and the entire facilities team for all their work this summer. The heightened awareness of lead in drinking water resulted in a rapid increase in the demand for services from water testing companies that has delayed the ability of districts to take action. For example, it took five weeks just for our team to receive our second set of testing results. While this process has unfortunately taken longer than hoped, it is anticipated that all 7 drinking fountains/bottle fill stations will be operational when school begins. Adding the proper filtrations systems to the sinks may extend beyond the start of school. In that event, all impacted sinks will continue to be labeled as inoperable until the filtration systems are installed. Please let me know if you have any questions and I thank you for your understanding. I am pleased to announce that planning for the new 5-6 Intermediate School and 7-8 Middle School has begun. We are working with LSW Architects and R & C Construction Management. LSW was the architectural team for the 2012 bond, and R & C has extensive experience working with school districts throughout southwest Washington. We will host a number of stakeholder specific meetings (special education, science, etc.) in September to help inform the planning and design process and I encourage you to participate. Meeting dates/times will be announced in early September. In the meantime, I invite all interested staff to join us for one of two image inspiration meetings on Monday, August 29th. Staff from LSW will be on hand and lead us through a series of various school images to gather feedback on features/concepts/layouts for possible consideration in the new schools. The first meeting will be held in the Union Ridge library from 4:00 – 4:30pm. That will be followed by the same meeting from 5:00 – 5:30pm in the View Ridge library. On Saturday, September 24 we will be hosting the first Experience Ridgefield, a carnival to celebrate everything that is special about our community and schools (please see attached flyer). The event will run from 3:00 – 8:00pm and be held at Ridgefield High School. This event has been developed and organized by the students in my Superintendent’s Student Advisory Council. The theme is Past, Present, Future, and there promises to be something for everyone. I look forward to seeing everyone next Wednesday, August 24th at our District Convocation Celebration. Just a quick reminder that breakfast will begin at 7:15am in the RHS Commons and Convocation kicks-off at 8:00am in the Performing Arts Center. We have a fun program planned, including lots of giveaways. Following Convocation, an annual Human Resources Notification training will be provided for all staff, as well as a Health Care Training. BCI, our health insurance consultant, will be sponsoring lunch, beginning at 11:45am. All classified employees who are not scheduled to work on the 24th are eligible to earn four hours of comp time to be used this year during non-student contact times. A big thank you to Bonnie Harris, Carolyn Enos, Michael Baskette, and Chris Griffith, who have all been working hard to make Convocation memorable. Prepared to gather and test wider samples at both campuses, beginning tomorrow. I have attached our media release, a Q & A from the Washington Department of Health on Lead in School Drinking Water, and a message from the Clark County Department of Health. Please email or call me if you have any questions. Thanks for a great school year and enjoy your first day of summer break. If there is ever a Jeopardy category on the movie Hotel Transylvania 2, sign Amanda and I up. Declan has recently discovered this movie. For those who are quick to point out the dangers of screen time, I would suggest you may not currently be living with a toddler. Their energy level is seemingly limitless, so we will take any respite we can get. Unfortunately, his movie tastes are extremely specific. Only Hotel Transylvania 2...nothing else will do. Of course, I remember Jamison going through a similar phase with the movie Cars and it is really fun to see Declan get so excited. Congratulations also go to Jubilee Roth (elementary schools teacher-librarian), who recently wrote a successful grant to the Office of the Secretary of State and the Washington State Library. The $1000 grant will support the purchase of nonfiction books for the South Ridge library. Way to go, Jubilee! On Friday afternoon, the district hosted a ribbon-cutting ceremony to officially open the new Ridgefield Fieldhouse. The barn at RHS has been repurposed and transformed into a contemporary field house. This idea was first conceived in December 2014 and is the result of a wonderful partnership with Ridgefield Little League. I am attaching two pictures of the facility and encourage you to visit the fieldhouse when you have a chance. There are two very important events upcoming. RHS graduation is this Friday evening (fingers crossed for great weather) and our end of the year all-staff lunch is Wednesday, June 15 at 12:30pm in the RHS Commons. I look forward to seeing you there. Thanks for all you do. Have a great week. As you know, last the night the Capital Facilities Advisory Committee presented their recommendations to the school board. The CFAC team did a terrific job and the recommendations were enthusiastically received. I will be visiting each building before school lets out for the summer to provide a summary of the CFAC work and recommendations, along with next steps. In advance, I am attaching the formal CFAC report and the slide show presentation from last night. Thank you again to everyone who contributed and supported this process…It has been a lot of fun to have so many people involved. We have an exciting plan that, when complete, will positively impact all students and staff as well as our community. I look forward to seeing you soon. The review team interviewed 175 stakeholders and conducted 63 classroom observations as part of their visit. Congratulations to our teachers, as the classroom observation ratings (using AdvancED’s Effective Learning Environments Observation Tool) exceeded the AdvancED Network Average in all domains. On Tuesday the Capital Facilities Advisory Committee will deliver their recommendations for the upcoming bond to the school board. The board meeting will be begin at 5:00pm and take place in room 311 at RHS. I look forward to seeing some of you there. For those that cannot make it, no worries…I will follow up with visits to each school before the end of the year to give a short presentation that provides a summary of the CFAC recommendations and all the latest associated information. As always, feel free to email, call, or drop by if you have specific questions you would like answered. Summer is fast approaching. I am attaching an invite flyer for our all-staff lunch on Wednesday, June 15th at 12:30pm at RHS. May is such a fun time of year, with so many activities taking place throughout the district. On Friday afternoon, I took in part of the Spudder Classic track meet…it was a spectacular day for what is truly a remarkable event with more than 20 teams competing. Congratulations to our Spudder girls on their first place finish and the boys on earning a strong fourth place showing. On Saturday, Jamison and I went straight from his soccer game at Abrams’ Park to the high school to catch a very compelling Ridgefield – Aberdeen boys’ soccer district tournament game. Congratulations to the Spuds on the hard-fought 1-0 victory. Our boys will be back on the turf on Tuesday night, hosting Mark Morris at 7:00 pm…I hope to see you there. Saturday night, Amanda and I went to South Ridge to catch the closing night of Shrek, Jr. The kids were fantastic, with many laugh-out-loud moments throughout the show. It is a massive undertaking to produce and deliver a musical. Thank you very much South Ridge PTA, Ken Bisbee, and all the South Ridge staff and volunteers who help make this happen…the arts are alive and well in Ridgefield! The Capital Facilities Advisory Committee (CFAC) held their final meeting on May 5th. The meeting marked the culmination of six months of work, and they did a super job. Thank you to everyone who provided feedback through the CFAC’s various forums, surveys, community events, etc. The CFAC will present their recommendations to the school board at the May 24th board meeting. I will follow that up and visit each school to summarize that report before the summer vacation. The Ridgefield Family Resource Center (RFRC) continues to grow and positively impact an ever-growing number of students and families. I am grateful for the ongoing support from our staff and community members. As part of the RFRC’s growth, I am excited to announce that we will be hosting a Love & Logic parenting course, beginning in September. Speaking of the RFRC, Compassion 360 will be receiving a Community Service Award at the regional WASA Honorary Awards Breakfast later this month. Compassion 360 is one of approximately a dozen organizations/individuals from throughout the ESD 112 region receiving recognition for their support of schools and children. Carla Kendall-Bray, the owner of Dance Fusion NW and an integral part of Ridgefield Youth Arts Month, will also be recognized with a Community Service Award. Congratulations and thank you Compassion 360 and Carla. As always, thank you for very much for your hard work. Enjoy your week. Thank you all very much for your hard work and efforts throughout the AdvancED Accreditation process. The external review team provided an initial summary report of their findings at a board meeting this afternoon. I’m pleased and excited to announced that Ridgefield School District is being recommended for accreditation. We should receive the official report within the next month. I will be allowed to share specific details at that time, but initial feedback has been both very valuable and very positive. Congratulations everyone and thanks again. I hope you had a fantastic weekend. Ours began Friday evening at the Union Ridge Spring Carnival, where I had a blast helping operate the donut relay game. If you’re not familiar with this particular game, you are missing out on one of life’s more unique experiences. Tater Tots were lined up all night long for a chance to compete to see who could most quickly eat a donut (hands-free), while it is suspended from a string. Needless to say it was a little messy, but a lot of fun. The carnival was wall-to-wall families and a big thank you goes out to all the teacher and parent volunteers who helped make it a great family event. We just completed our meet and greet with the external review team, marking the kick-off for our AdvancED visit. Our guests are excited to be in Ridgefield and look forward to learning more about our schools over the next three days. Thank you to our hard-working administrators and board members, who all gave time on Sunday afternoon to join us. A big congratulations goes to the staff and students at South Ridge for earning a 2015 Washington Achievement Award. For the second consecutive year, South Ridge earned Overall Excellence recognition; one of just three schools in the entire ESD 112 region (and the only elementary school) to earn this distinction. Schools that achieve Overall Excellence must be in the top 5% based on the Composite Achievement Index rating. Way to go Roadrunners! The school board officially adopted Pursuing Premier, our district goals and planning blueprint at their last meeting. You can find a copy of the adopted version attached. Those of you who know me well, know I continue to have doubts about the capacity of any system designed for evaluation to also be a highly effective instrument for promoting professional growth. I often say that I cannot recall one innovative organization that has stated “we will evaluate ourselves to greatness.” I’m attaching a Charlotte Danielson opinion piece from EdWeek that I believe is worth the read. Danielson captures much of my own thinking when she writes, “I’m deeply troubled by the transformation of teaching from a complex profession requiring nuanced judgment to the performance of certain behaviors that can be ticked off on a checklist.” As you know very well, teaching is an intellectually demanding profession. Meaningful professional growth occurs when teachers have authentic opportunities to collaborate, learn from each other, and take risks by incorporating new strategies free from the fear of failure. The District is committed to expanding professional development opportunities for instructional staff and nurturing teacher leadership across the district. I appreciate and value the many conversations with teachers on this very subject and invite you to continue sharing your thoughts and ideas as we move forward. Lastly, just a little treat for anyone who may be either a Bruce Springsteen or Prince fan. Springsteen paid tribute to the late artist, opening his show in Brooklyn, NY with a great cover of Purple Rain. I hope you had a fun and restful spring break. Mine might not have been very restful, but it certainly was fun. Amanda and I took the boys to Vancouver BC with friends. If you have not been, I highly encourage you to consider a visit. It is a beautiful city. Capilano Suspension Bridge Park was the big hit with everyone (a 450 foot suspension bridge that sits 230 feet above the water captures your attention). I’m not real comfortable with heights, so it took me a little longer to enjoy the views…But they are spectacular (I’ll spare you the whole vacation slide show, but I’m still attaching two pictures of the family at the park). The Vancouver Aquarium, Stanley Park, and Granville Island are all lots of fun too. Still, it seems like for the kids, little can compare to a hotel pool. Our AdvancED site visit begins on Sunday, April 24th and will continue through Wednesday, April 27th. During that time, the external review team will be in-district, touring our schools and visiting with our students, staff, and parents. During the day on Tuesday, April 26th you can expect members of the review team to visit classrooms for short stays (approximately 20 minutes) to observe the student learning taking place. I encourage you to visit with review team members and share your perspectives. I am attaching a draft schedule of the review team’s visit to Ridgefield. 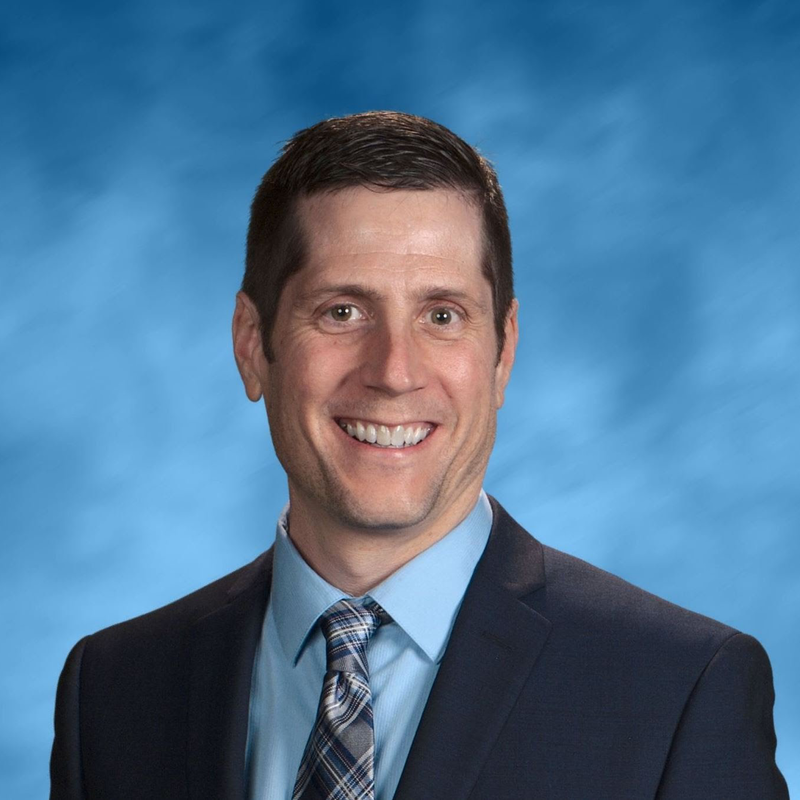 It is with both sadness and joy, that I offer my sincere congratulations to Tracey MacLachlan (our Union Ridge principal), who will be leaving us after this year to assume a planning principal position in the Washougal School District. This is a tremendous opportunity for Tracey to shape a school from the ground-up and an opportunity that most principals never get to experience. Way to go, Tracey! I am very impressed with the work accomplished around the district to promote grit and growth mindsets. For example, RHS’s Success Bound model encourages students to think about and engage in important conversations around respect, responsibility, and resiliency. Thank you all for investing so much time and energy teaching and encouraging attributes and traits that support student success. With that work in mind, I am attaching a recent New York Times Q&A with Angela Duckworth that you may find interesting. A quick update on two important pieces of information. First, I am excited to announce that our ESD special education para-professional staff will be joining the Ridgefield School District for the upcoming 2016-2017 school year. Please join me in welcoming the team to the district. Each of these meetings will run approximately 45 minutes and begin with a brief update on the CFAC’s progress, followed by an opportunity for staff members to provide input and ask questions. Please let me know if you have any questions. Thank you and enjoy the holiday weekend. I would like to take a few minutes this evening to talk about special education in our district. It has been shared with me that some staff members perceive the district chose not to run the special education program independently next year because it is not ready to self-manage the department. Simply put, this is not true. Our work has been extensive and running on-schedule for special education self-operations in fall 2016. When we committed to a self-operations model, we moved forward swiftly. Here are some of the steps we have taken. Last summer we hired a special education coordinator as the district's first special education employee. Denise Freund has an extensive background in special education and a well-earned reputation in her previous district as collaborative, compassionate, and student-focused. She has worked closely with ESD staff throughout the year, attending management meetings, special education professional development, and the like while also playing an important role on RSD's administrative team. Additionally, I have personally met with ESD senior management regularly this year to discuss and plan the transition to self-operations. Details as specific as which special education equipment (computers, software, etc.) would stay with the district, how best to complete the extensive paperwork transfer(IEP files, etc. ), and the ancillary services we might likely still need to contract with ESD are all details that we have been attending to. While a transition as extensive as bringing special education in-house can always benefit from additional time, I am a firm believer that you have to get in the water in order to learn to swim. We were, and remain, on-track to complete this transition when the time comes. I think it is also important to note that the ESD has been and remains, committed to a successful transition. We have discussed many "lessons learned" from both the Hockison and La Center transitions. This information has been of great value. You may also be interested to know that we have extended the RSD teacher TRI package to our ESD certificated special education staff for the 2016-2017 school year. This has been an emotional week for many of us. I appreciate and respect the passion surrounding the discussion of special education. I share your passion. Bringing special education in-house has been an important goal of mine since early in my tenure here. Please know, my commitment to bring a self-operating special education model to Ridgefield remains as strong as ever. If you would like to discuss this personally with me, I encourage you to give me a call or email. I am happy to meet with you. On Thursday evening, the Capital Facilities Advisory Committee (CFAC) hosted their community forum to share progress and receive feedback as they prepare to make facility recommendations to the school board for a bond election in February 2017. The meeting was well-attended and the feedback positive. The CFAC will again be reaching out to school staff as they continue their work…be on the lookout for after school meetings at each of the buildings in the near future. I wanted to share three handouts that were available at the meeting. The first you have seen in a previous form. At the advice of the CFAC, the capital construction phases handout now shows four phases, with phase I being the successful 2012 bond. Tied to that are a promises fulfilled handout that shares more information about the 2012 bond along with a summary sheet that details bond financials. The leadership team has been hard at work over the past several months updating the District’s Goals and Planning Blueprint. Supporting quality instruction that provides personalized learning opportunities is central to the team’s work. I am extremely grateful for the numerous productive and purposeful conversations that have led to the current draft. It is a significant step forward. We are excited to share it with you and learn your feedback. Please find a copy of the document, titled Pursuing Premier, attached. On Friday, following Dr. Barr’s presentation, staff will have the opportunity to provide thoughts and feedback on the document to the leadership team. Principals, Chris, and Denise, will be spread out in the Commons, arranged by the goals. They will be available to provide further explanation of the goals, strategies, and measures of success, answer questions, and most importantly, receive your feedback. I thank you in advance for your input. We had a fantastic kick-off to Ridgefield Youth Arts Month this week. A record number of students participated in our Missoula Theater production of Aladdin and downtown was buzzing yesterday with First Saturday activities throughout the day and into the evening that focused on the celebration of Youth Arts Month. Be sure to visit the approximately 40 area businesses that are displaying RSD student art throughout March and don’t forget the District Art Show will be held this year on Tuesday, March 29th at RHS, beginning at 5:00 pm. You can visit www.ridgefieldyoutharts.com for more information on the many fine and performing arts events taking place in March. The Capital Facilities Advisory Committee is gearing up for their community forum, which will occur on Thursday, March 17th from 6:00 -7:30 pm. at RHS. This forum is an excellent chance to learn more about the committee’s work and provide feedback that will continue to shape their recommendations to the school board. Hope to see you there. Finally, I’m attaching a one-page flyer about Dr. Barr’s visit this Friday. The public is welcome and encouraged to attend as well, so please pass along this information along to interested friends and neighbors. Childcare for children two years of age and older will be available. As always, thank you very much for all your hard work on behalf of our children. Have a great week. I thought I would begin this update by sharing a little about Jamison’s (my oldest son) weekend. It began Friday when we took him to Columbia Valley Elementary School for his Hot Shots basketball game. After the game, we joined friends for dinner out…nothing fancy, just Baja Fresh. But he had plenty of food and enjoyed time friends and family. Most weekends I make a big breakfast for the family on either Saturday or Sunday morning. This weekend was no exception, and Jamison began his Saturday suitably stuffed full of bacon, eggs, hash browns, etc. A little later on Saturday, Jamison went with me for coffee and read while I did some work. In the late afternoon, on the way to Mass, we stopped and rented a video game for him to play with his friend who would join him for a sleepover Saturday night. This afternoon, Jamison was with his friend, enjoying Chinese food in Kalama. He returned home tonight for dinner, family time, and the opportunity for a good night’s rest in his safe, warm, and cozy bed. For Jamison and many Ridgefield kiddos, that sounds like a fairly typical weekend. But, of course, we know that is not every student’s experience. In fact, about 30% of students in our district are currently receiving free or reduced price lunch. The Ridgefield Family Resource Center, which just opened in October, is already serving a steady stream of families and their children. Long-term, Ridgefield is likely to see the number of students from economically disadvantaged backgrounds continue to increase. Dr. Barr is a captivating and engaging presenter. His visit will serve as a kick-off as we begin to explore ideas to improve outcomes for our students from economically disadvantaged backgrounds. The schedule for the 11th follows. We are grateful for the support of our volunteer team at the Ridgefield Family Resource Center and Compassion 360, who will serve a continental breakfast, beginning at 7:30 a.m. Additionally, there will be child care available for staff and members of the public joining us for Dr. Barr's presentations. I look forward to learning with you on March 11th. Have a great week. I hope everyone enjoyed a terrific Super Bowl Sunday and congratulations to all those who were rooting for Peyton and the Broncos...it was a nice capstone to an incredible career. My younger brother, Justin, works for a museum at Colby College in Waterville, Maine. Recently, his duties were expanded and he now oversees the internship program at the museum. Preparing for that new role, he is interviewing department heads around the college to find out how to identify promising interns. One of the questions he asks is "what attributes should he be looking for when hiring interns?" He shared that time and again he receives the same response: someone who is curious, self-motivated, and has the ability to think and communicate well. There is nothing mentioned about art historical knowledge or museum experience at all...the idea being the museum can teach them that. Justin went on to say, "We expect students to make mistakes and not know everything, we don't expect technical expertise. We do expect and want students who think, communicate, and are self motivated." "One of our current interns--in the education dept.--just got a summer internship in NYC at a major museum in their design/tech dept. I asked his supervisor at the museum, the director of public programs, how Harry landed this great internship completely on his own. The answer was simple: "He hustled for it." I share this as one more example of how important and impactful your work is teaching, encouraging, and reinforcing resiliency, responsibility, and respectfulness in all your students. As a teacher, I often found it important to remember what was really important during the "dog days" of the school year, when it is easy to become all-consumed by the content and trying to fit it all in. Thank you very much for continuing to focus on the Success Bound traits. You may recall back in January I shared some information about the Capital Facilities Advisory Committee (CFAC). This volunteer group, consisting of staff, parents, and district stakeholders continues to make considerable progress. There are four subcommittees (general education, special education, safety/security, and athletics/extracurriculars) and members of the subcommittees have been and will continue to solicit feedback from staff over the next several months. The CFAC will also be hosting a community forum on the evening of March 17th at RHS to update attendees on their progress and provide another venue to receive input. I will be visiting staff meetings over the next few weeks to provide a more detailed update of the committee's work to date and the district's anticipated capital needs over the next two decades. I look forward to speaking with you soon. In the meantime, you may check out the CFAC's work at http://ridgefieldwa.apptegy.us/o/district/page/capital-facilities-advisory-committee--2. Thank you very much for all your hard work on behalf of our students and have a great week. Levy ballots arrived in mailboxes this weekend and I will be visiting with elementary teachers on Friday morning to share a brief presentation. If you hear from voters who still have questions, please encourage them to call me at the district office. January is School Board Member Appreciation month. At the first board meeting of the month, we presented the Board with copies of Robert Putnam's Our Kids. You may recognize Putnam as the author of Bowling Alone, a very popular book from 2000. Our Kids came highly recommended by a colleague and the Board and I are reading it as a book study. I think it supports the work we will be doing with Bob Barr in March. As you recall, Dr. Barr is a national leader in connecting with and teaching students from poverty backgrounds. He is the co-author of Building a Culture of Hope. He is also a terrific and very engaging presenter. We invited Dr. Barr to speak to our staff and community on the morning of Friday, March 11. We continue to update our website and social media platforms. Be sure to check out some of the wonderful pictures found on our sites. A growing number of these pictures are the work of Mark Cook, our high school photography teacher. Mark does a fantastic job capturing the strong sense of community and school spirit found throughout the Ridgefield School District. Happy holidays! While I may not be quite as excited as my son Jamison was this morning, the day before winter break does indeed feel very good. December has been busy and I find myself feeling a lot like the Elf on the Shelf that visits our home this time of year. Buddy (Jamison gave him that name a few years ago in honor of Will Ferrell’s character in Elf) certainly keeps very busy at night, as each morning we find him involved in some new elfish hijinks. J My holiday wish for each of you is to slow down, enjoy quality time with family and friends, and allow yourself an opportunity to recharge. I had an opportunity to begin the slowdown process at last evening’s absolutely sensational RHS Winter Choral Concert. In addition to a show-stopping medley from Frozen, there was enough holiday music to grow even the Grinch’s heart. Many of you are aware the District has been working with a group of WSU-V students to film some promotional videos on the Ridgefield School District. Final cuts were delivered yesterday and they look great. The District video can be found at the bottom of our new homepage, http://ridgefieldwa.apptegy.us/. School specific videos will be put up on the school sites shortly. A big thank you to staff members Sheila Davis (VR), Steve Rinard (RHS), Tony Smith (VR), Ann Tracey (SR), and Jill Uhacz (RHS) who are all featured in the video. Be sure to watch the whole video and you will see RHS student Brandon Lehto do a superb job capturing what our district tagline, unlimited possibilities, means to him. Special thanks goes to Chris Griffith for finding this terrific group of Cougs, who selected our video project for their culminating assignment. At their December meeting, our school board approved a resolution calling for a replacement levy election. I am attaching one-pager that answers some of the most frequently-asked questions about our educational maintenance and operations levy. You can also read more about the levy resolution at http://www.ridgefieldsd.org/news/ridgefieldschoolboardapprovesreplacementlevyresolution. Chris and I will visit staff meetings in January to provide more information and answer questions. Please keep the Ridgefield Family Resource Center in your thoughts should you have gently-used clothing or surplus food. We are serving more and more students and families and warm winter clothing and jackets are in high demand. Just yesterday, Governor Inslee released his supplemental budget proposal. Additionally, the Governor proposes raising beginning teacher base pay to $40,000 and increasing pay for all other school employees by a additional minimum of 1% in 2016-2017. Attached, you will find both the education highlights as well as a policy brief that discusses the pay increase proposal. Weekends this time of year can be very busy, but I wouldn’t change it for anything. On Friday evening, staff from around the district got together to celebrate Nancy Anderson’s career in the Ridgefield School District and wish her well in retirement. We had a blast. Saturday was another remarkable Hometown Celebration. While the lighting of the Christmas Tree is always fun to see, I must say the Elementary Schools Holiday Bazaar that was held in the VRMS gym stole the show. More than 70 young entrepreneurs from South Ridge and Union Ridge displayed their self-made crafts and goodies. The gym was full and I was blown away by the high quality products created by our students. In fact, a beautiful snowman picture proudly painted by a 5th grade artists is the newest addition to the art collection in the district office. I was also quite proud of the three talented salespeople in the attached picture who did very well selling Minecraft keychains (full disclosure: the one on the right belongs to meJ). A big thank you to our South Ridge PTA and Union Ridge PTO parents for organizing this fantastic event. Our family capped things off Sunday by heading over to Battleground in the afternoon to watch our intermediate and middle school girls’ youth basketball teams play in a tournament. Keeping with the holiday theme, at this week’s board meeting, we will honor Emma Waddle, who took first place in the district’s holiday card contest. Emma is a South Ridge student and a picture of her card is attached. The greeting card goes out to all the school districts, public entities, and private businesses that work with RSD. On Monday evening we celebrated the new digital video display board that has been installed in the RHS main gym (see attached picture). The screen looks great and I encourage you to come catch the Spudder basketball and wrestling teams in action this winter. The Ridgefield Booster Club spearheaded this effort and the project is being funded through advertising support from local businesses. For those of you following closely, ESEA reauthorization appears close at hand as the House passed the Every Student Succeeds Act (ESSA) 359-64 last week. The Senate is scheduled to vote on Tuesday. I am attaching a summary sheet that highlights some of the significant details. You will be pleased to learn that ESSA specifically would end the federal overreach into education and return much of the decision-making back to the states and local districts. This will likely be most felt with respect to accountability around testing. While annual assessments will continue (grades 3-8 and once in HS for math and ELA and three times for science – one per grade span), the use and purpose of that data will be decided at the state/local level. I believe ESSA is a positive step for public education. The very cool weekend has me full-on in the holiday spirit. As a child, Thanksgiving always ran a near dead-even heat with Christmas as my favorite holiday. We spent many Thanksgivings back in Vermont with family and friends, celebrating as one large group...a house full of families eating, kids running all over the place in barely controlled chaos, and tons and tons of fun. Those Thanksgivings are some of my fondest childhood memories. Please let me know if you have any questions. As always, thank you for your many contributions. Have a great week. Happy holidays! No, not quite yet, but as I write this we are exactly two months from Christmas Day. With the holiday season rapidly approaching, our second annual Superintendent’s Holiday Greeting Card Contest is underway. The theme this year is Winter Window and once again the Ridgefield Art Association is sponsoring the contest. Attached, you can find the information sheet that includes more details. All RSD students are eligible to participate. We had well over 100 of our artists enter last year and this is a terrific opportunity for one of our students to have their art work represent RSD on our holiday greeting card. As you know, we are currently undergoing a website conversion. We are moving from a Schoolwires hosted site to a Google site. Our new web address will be www.ridgefieldsd.org. We know the complete conversion will take time and not every page (including teacher pages) will be up and running immediately. Please know, Geoff Varney and the technology department team (Mike, Chase, Devin!) are working very hard on this project. I appreciate how a change like this can create extra stress. It may be helpful to know more information about how the decision was reached. Geoff's efforts have included significant time (beginning in August) attempting to work with Schoolwires to get a short term extension to our agreement. Finally, on Tuesday, Geoff heard back from Schoolwires with a best and final offer of 6 months. Schoolwires would not agree to a shorter time period. Entering into this unnecessarily lengthy extension would have been a poor use of district resources and thus the decision was made to move up the conversion time frame by several weeks. We had a terrific ribbon-cutting ceremony to officially open the Ridgefield Family Resource Center on the 15th. We have seen a tremendous number of people volunteer to help the RFRC, including many RSD staff members. A big thank you to everyone for their support of this important program. On Saturday President Obama made some encouraging remarks regarding the culture of testing that has overtaken our profession. New recommendations include fewer higher-quality tests that are “worth taking.” I am attaching an assessment fact sheet produced by the US Department of Education that summarizes this shift in policy. I am grateful to work in a district where we maintain a commitment to teaching the whole child and use multiple measures to evaluate each child’s progress. As always, thank you very much for all you to do each day to make positive differences in the lives of our students. Have a great week! We live in a wonderful, extremely supportive community. It seemed like literally everyone was at the stadium to cheer on our Spudders (parked cars stretched up and down Hillhurst!). Extra-curricular activities play a vital role in the educational experience of our students. Between the band, cheer team, and football players, there were well over 100 engaged students performing at very high levels on Friday evening. It was inspiring to watch. And to all our coaches and sponsors who spend countless hours working with our students outside the regular school day, thank you very much! Providing emergency services to children and families in need, including food, clothing, and hygiene products. Creating a more effective learning environment for all students, by ensuring that each child has his/her basic needs met. Increasing community awareness of available services to assist Ridgefield children and families. Enhancing the relationship between Ridgefield School District and all of our families. This is a terrific all-volunteer partnership between RSD and Compassion 360 with a humble beginning. We carved out a small corner in the district’s maintenance building downtown. The “shop” will be open on Thursdays from 10:00am – noon and 5:00 – 7:00pm. Initially though it will primarily act as a fulfillment center where volunteers will pack and deliver items to the school sites to get in the hands of those in need. Please know the RFRC is committed to ensuring anonymity and protecting dignity. More information on how we use this resource to help students will follow later this week. Next weekend, my two brothers, sister, and our families will travel to Maine to celebrate my parents 50th wedding anniversary. I’m extremely blessed to have such loving parents who have always simply wanted for their children to be happy and be good, productive citizens. 50 years is a long time, yet it really goes by in a flash. It really doesn’t seem all that long ago that the whole family (apparently a much younger family J) was together opening presents on Christmas mornings, visiting the Maine coast each summer, or doing any of a million other things that are treasured memories I have from my childhood. This Thursday, September 24th, the district is celebrating the second annual Legendary Teacher Day. The purpose of the day is simple…we encourage our community to take a moment on the 24th to reflect on the legendary teacher(s) in their lives and extend a thank you for the positive difference teachers made in their lives. Additionally, I think this day serves as an important reminder to our community of the critically important role PK-12 education plays in our nation. We absolutely would not be the same country without the work of public educators. I am pleased to note that Legendary Teacher Day has spread county-wide this year. We will be joined by the Camas, Evergreen, Hockinson, and Washougal school districts, along with the Washington State School for the Blind, Washington School for the Deaf, and the cities of Camas, Ridgefield, Vancouver, and Washougal. Each district’s board of directors has issued a resolution declaring the 24th Legendary Teacher Day and each mayor issued a proclamation declaring the same. On the 24th, check out the RSD Facebook page to read stories of legendary teachers. And to our teachers – please remember, you are all legendary teachers to students in your classrooms. AdvancED Accreditation – As I briefly shared at the District Convocation Celebration, we are pursuing AdvancED system accreditation. This process will guide our continuous improvement efforts. I will have much more information for you in the coming weeks, but I wanted to provide this brief update today. First, I am attaching a two-page flyer that details some of the benefits of going through accreditation. Second, an important step in the accreditation process is stakeholder feedback. In the very near future, all staff and students will have the opportunity to share their thoughts and provide valuable input that will help shape our improvement process. This past Friday, parent surveys were released and the parent survey will be active until the conclusion of the day on Sunday, October 4th.